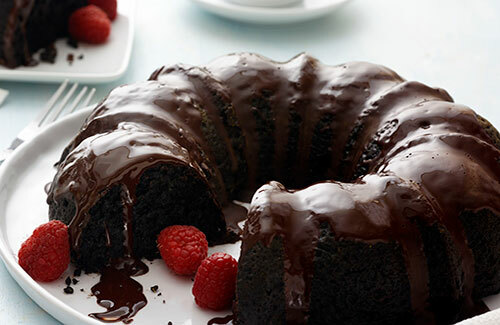 Kosher baking sensation Paula Shoyer is the culinary genius behind this chocolate bundt cake. This year, she’s out with a lemon version as well. 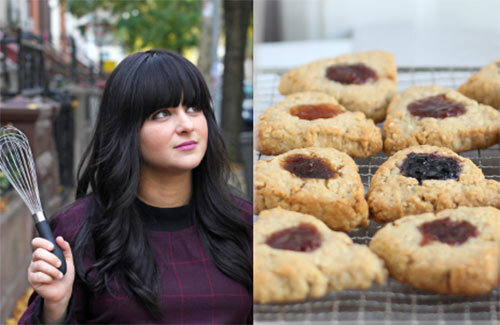 Kosher food sensation @BusyinBrooklyn, aka Chanie Apfelbaum, shares a “healthy-ish”—and delicious—update to the classic Purim cookie. Purim gift-giving just got a little sweeter, thanks to Apricot Jam Bars, Espresso Chocolate Chip Halva and pecan-walnut horn cookies. Hag sameach, indeed! 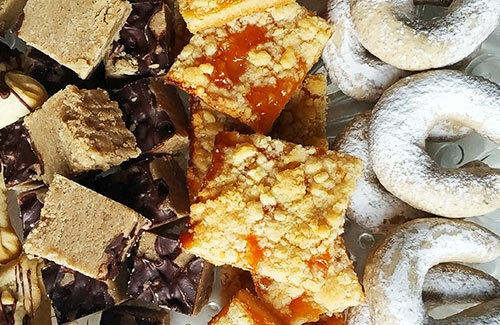 Purim gift-giving just got a little sweeter, thanks to Apricot Jam Bars, Espresso Chocolate Chip Halva and pecan-walnut horn cookies. 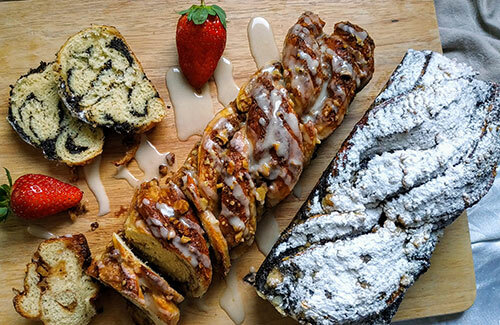 Jessica Halfin walks you through prepping babka dough, creating an array of fillings and—perhaps most crucial—how to braid a loaf. 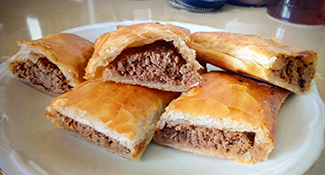 Begin your Rosh Hashanah meal with chicken kreplachs, bourekas stuffed with traditional brisket, and vegetarian chopped liver made with mushrooms. 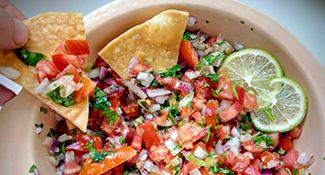 August is prime season for lusciously delicious tomatoes: Why not try incorporating them into a salsa or two, with fresh tortillas chips for dipping? 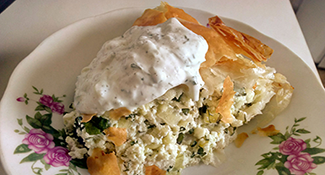 A spinach-cheese pie, hybrid Greek-and-Israeli baklava and refreshing tzatziki make a delightful summer meal. A denizen of her local farmers' market, Rueven, a popular food blogger, shops—and cooks—according to what's in season. 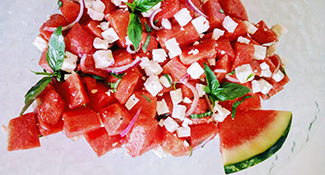 A simple dressing of olive oil and fresh lime juice keeps this watermelon and feta salad light and simple. 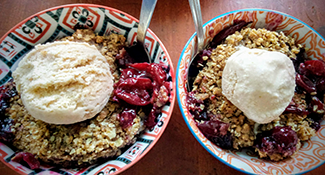 This luscious wine-and-cherry dessert is an intoxicatingly sweet way to observe Tu B'Av, the ancient day of love. 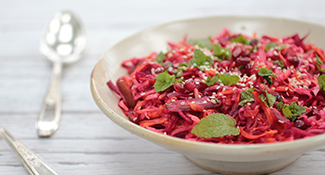 Classic recipes from around the Diaspora that have been reworked to impress modern guests. Standouts include a vegetarian moussaka and seeded schnitzel. 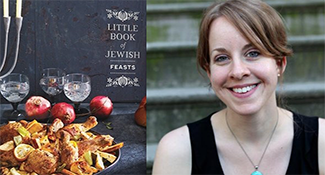 A beloved Jewish food writer share's her jam-making expertise in her latest cookbook. 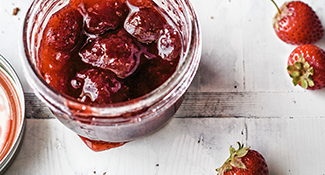 Rhubarb, Strawberry and Rose Jam, anyone?